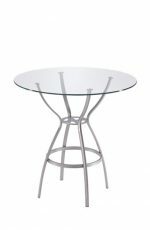 24" Round — Seats 2 people, ideal for setting drinks down, not ideal for eating, will be small. Dining Chair Height — Common height for dining rooms for dining chairs. Counter Height — Great for kitchens and general use. Also great for elderly people. 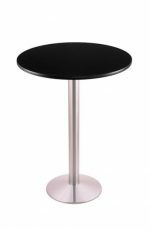 Goes with 26" counter height stools. 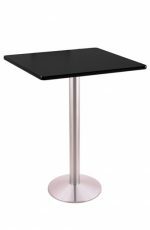 Bar Height — Great for game and billiard rooms. 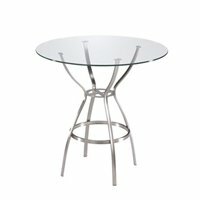 Goes with 30" bar height stools. Arrives in both Black and Mahogany table top. 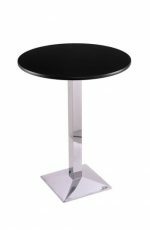 Holland Bar Stool’s commercial tables are an affordable alternative for your man cave, rec room, bar, or restaurant. 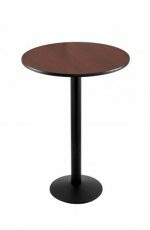 Available in 30″, 36″, and 42″ heights and with a variety of sizes both round and square, there is a table to fit most needs. 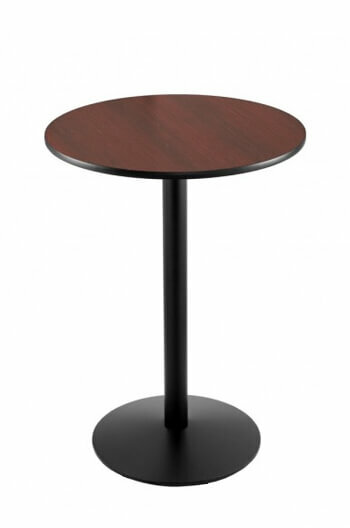 Table bases are commercial quality and are easily assembled. Tops feature durable black laminate on one side and a mahogany (dark cherry) laminate on the other, allowing you to choose the look that is best for you. Black rubber T-Molding provides protection for edges and corners, and won’t peal off like many laminate edges. Tables have adjustable feet to help prevent rocking. Typically ships within 5-10 business days. Free shipping! The Holland Bar Stool Company of Holland, Michigan, uses traditional American craftsmanship to make highest-quality barstools and furniture. Holland's wood products are made from solid Red Appalachian Oak or solid hardwood maple and finished with the finest catalyzed lacquer in the industry. 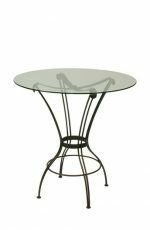 Metal stools are made from plating-grade steel and finished with an oven-baked powder-coat that is extremely durable and long-lasting. You can customize Holland's products in dozens of ways, such as seat height, finish, and upholstery. If you need a specialty product outside of the standard options, Holland will produce custom heights, finishes or upholsteries to give you exactly what you need. From the raw parts to the finished product, Holland pays close attention to every detail to make sure that you're happy with your furniture for years to come. That's why their logo is the "Kiss of Quality"!